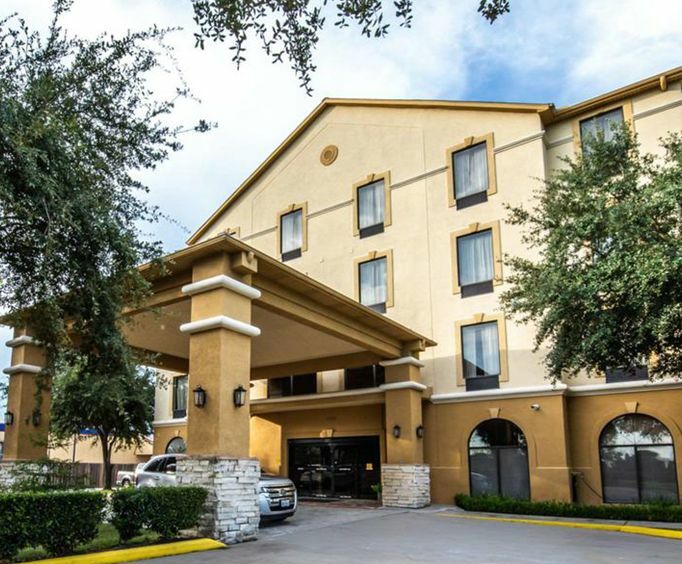 Comfort Suites is located in beautiful Houston, TX. There are many great activities to choose from including visiting Reliant Stadium which is in walking distance, George R. Brown Convention Center is within minutes of the hotel, the Houston Zoo, Minute Maid Park, Greenway Plaza, The Houston Museum District and the Port of Houston, and a golf course at Herman Park and all are within 5 miles. There is no shortage of great activities to choose from. When arriving you will be sure to notice the beautiful surroundings and gorgeous views all around you. The weather is great for all outdoor activities. The entrance to the hotel is grand and has all inviting colors. The staff is exceptional and will go above and beyond to help visitors with anything they may need. The rooms are all spacious and very clean. You will have a wide variety of choices as to which room suits you and your family best. 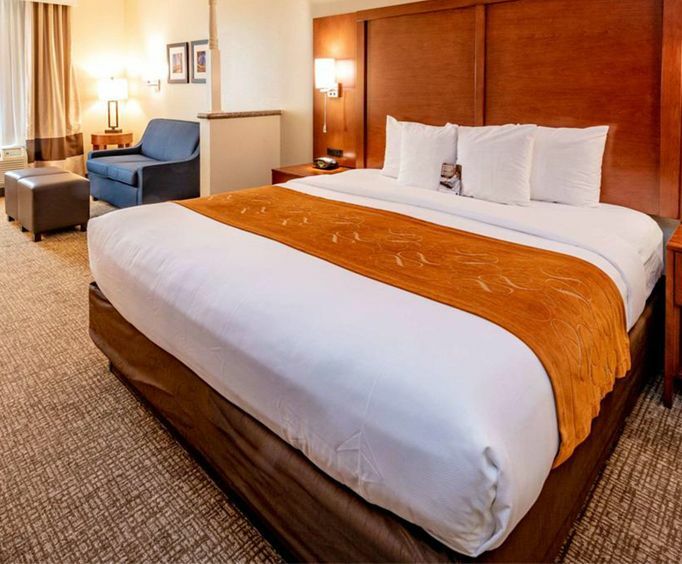 The wonderful amenities include room service, housekeeping, complimentary breakfast, high speed internet, phones in all rooms, laundry facilities, maid service, medical center shuttle, business center, fitness room, pools, hot tubs, waterfall, 24 hour front desk service, and so much more. There are so many restaurants to choose from including Sambuca, Frank's Pizza, Cabo the original Mix Mex Grill, Live Sports Cafe, Capitol at St. Germain, Bistro Lancaster, Red Cat Jazz Cafe, Venue, and Azuma-Downtown. There are so many types of food to choose from that you will be sure to find the best restaurant for you and your family. 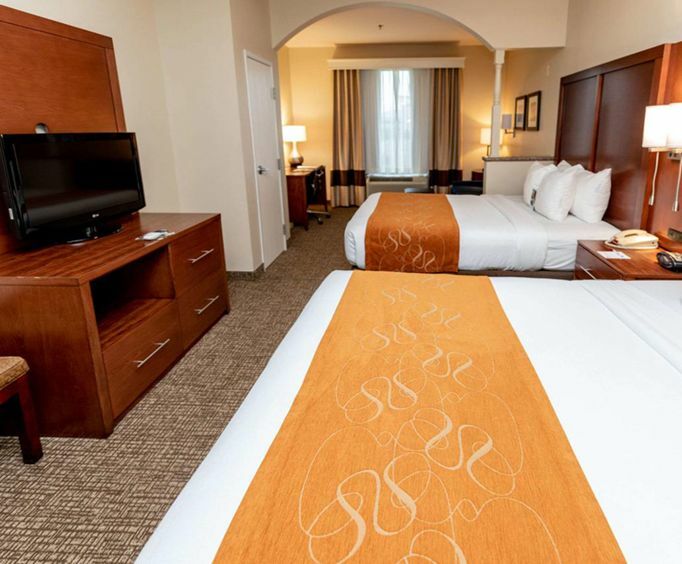 You will have a wonderful time at this hotel and will be sure to want to return again.